Author Stephen Mooser shares his experience and insights with blogger Lee Wind, M.Ed. Stephen Mooser has written both stand-alone books (like his first published title, 101 Black Cats (Scholastic), Orphan Jeb at the Massacree (Knopf) and Shadows on the Graveyard Trail (Dell Yearling); series, including The Treasure Hounds (Troll), The Creepy Creature Club (Dell), The All-Star Meatballs (Dell) and Goofball Malone, Ace Detective (Penguin); and also nonfiction books about the weird and strange, including The Unknown: Nine Astounding Stories (Lippincott) and The Man Who Ate A Car and Tons of Other Weird True Stories (Dell). 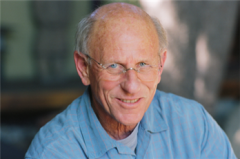 A co-founder of the SCBWI, Steve has had over 60 books for children and young readers traditionally published. 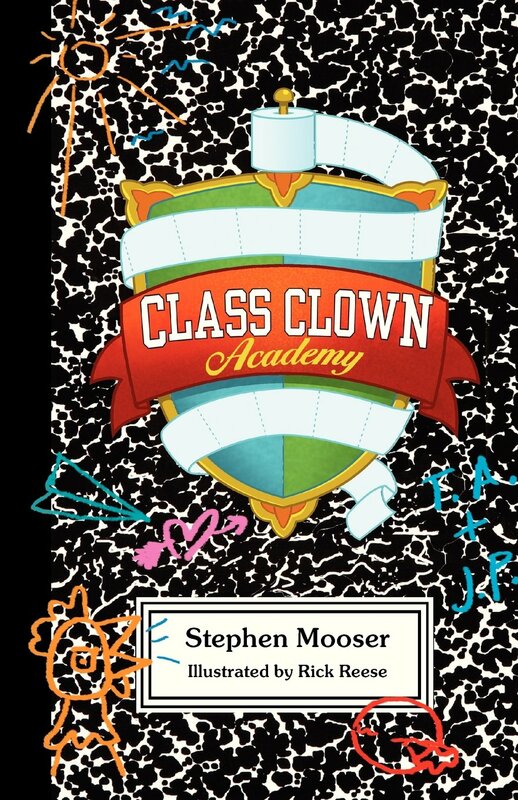 His latest book is Class Clown Academy, and it’s one that he chose to self-publish. Lee: So, you’ve traditionally published something over 60 books for young readers, and now, you’re doing something different – self publishing? Lee: Okay, so you have a book you really believe in that isn’t getting traction the traditional route. What were the factors that made you decide to self-publish rather than continue to try the traditional publishers? Steve: We had tried all the traditional publishers. 3 agents had tried. What made the book special was that it lent itself to becoming a virtual school. Over 3 years my team built the school www.classclownacademy. The school will drive people to the book, which is available in the student store. Lee: So it’s a website that’s a virtual school, and in the school bookstore readers can buy your book? Steve: Yes, and yes. They can also buy hats and bumper stickers and much more. Now my job-a huge one – is to drive people to the site! Lee: I spent some time on the site this morning, reading in the library about how to tell a joke… (and laughing at the movie “Farts and You” that was screening in the CCA Theater.) Did you envision the project being MORE than a book when you were originally going out to publishers, or was the expanded universe of the story something that came about as you plotted how to successfully self-publish the book? Steve: I thought of the school early on, but I didn’t envision so much the cost or the time. But I had a great team, a book editor and formatter, programmer and artist and once I started I wanted to finish. Lee: so, really, you didn’t so much as self-publish a book as become a self-producer of an online website and a book – you had to hire that team, right? Steve: Yes. Here is the thing about self-publishing. First you have to have a good product and believe in it. Then you have to think about how to sell it. You are now a small business and basically on your own. It is a big risk, but doing it right gives you a chance to reach a readership. Lee: It used to be that self-publishing was viewed as the realm of the impatient, the “easy” way to get published. You’re not making it sound easy. Steve: It is not easy but then selling a book to a traditional publisher is not easy either. There are thousands of talented people you are competing against. Amazon has something like 3 million unique titles on its site. How can anyone find your book. And then want to buy it? Most projects fail badly. Mine might too, but. And I say this often. Where Digital Books are going no one knows but wherever it is heading we are all in on the ground floor. Lee: Now the perception of self-published books and the ‘stigma’ they might have had 10 years ago, that seems to have changed, hasn’t it? Lee: that way your car trunk (and/or garage) aren’t filled with books you haven’t sold yet! Steve: Yes, don’t carry inventory. Also, the people that will do large print runs are often rip-offs. Always look at Preditors and editors before giving anyone your money. Lee: Good advice. So how do you set your expectations when you’re self-publishing… How do you keep the stories of the Amanda Hockings and Christopher Paolinis and their superstar level of success from taking over? Lee: Yeah, sending a notice out to all your facebook friends is a one-time thing, and not a marketing plan. No one wants to get two announcements that you have a new book out! Lee: Well, I imagine a lot of those steps of being ‘discovered’ are the same dance, whether you are traditionally or self-published. Lee: So that’s really pitching the website… is your main strategy that playing there will lead to book sales? Lee: Ha! I loved learning about your ‘treasure hunter’ past in your bio! So, for your next book, would you consider self-publishing again, or would you take it the traditional route? Or is it too soon to say? Lee: I hope you find treasure there! Thanks so much, Steve! And that’s our interview. You can check out the Class Clown Academy website here, andSteve’s website here.